Guarantee | Bordertown Autobody Inc. 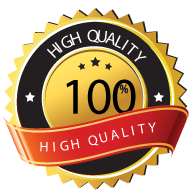 Guarantee – Bordertown Autobody Inc.
We fully guarantee all of our work! No questions! We pride ourselves on having no comebacks. Our customers don’t have time to bring it back. We fix it right, the first time! As well, by using a top quality EXALTA paint system we can offer their own 10 yr warranty on the paint and refinish products. Don’t worry about a thing. We’ve got you covered!